What You Need To Know About Ebola (October 18, 2014) Today, I want to take a few minutes to speak with you - directly and clearly - about Ebola: what we're doing about it, and what you need to know. Because meeting a public health challenge like this isn't just a job for government. All of us - citizens, leaders, the media - have a responsibility and a role to play. This is a serious disease, but we can't give in to hysteria or fear - because that only makes it harder to get people the accurate information they need. We have to be guided by the science. We have to remember the basic facts. First, what we're seeing now is not an "outbreak" or an "epidemic" of Ebola in America. We're a nation of more than 300 million people. To date, we've seen three cases of Ebola diagnosed here - the man who contracted the disease in Liberia, came here and sadly died; the two courageous nurses who were infected while they were treating him. Our thoughts and our prayers are with them, and we're doing everything we can to give them the best care possible. Now, even one infection is too many. At the same time, we have to keep this in perspective. As our public health experts point out, every year thousands of Americans die from the flu. Second, Ebola is actually a difficult disease to catch. It's not transmitted through the air like the flu. You cannot get it from just riding on a plane or a bus. The only way that a person can contract the disease is by coming into direct contact with the bodily fluids of somebody who is already showing symptoms. I've met and hugged some of the doctors and nurses who've treated Ebola patients. I've met with an Ebola patient who recovered, right in the Oval Office. And I'm fine. Third, we know how to fight this disease. We know the protocols. And we know that when they're followed, they work. So far, five Americans who got infected with Ebola in West Africa have been brought back to the United States - and all five have been treated safely, without infecting healthcare workers. And this week, at my direction, we're stepping up our efforts. Additional CDC personnel are on the scene in Dallas and Cleveland. We're working quickly to track and monitor anyone who may have been in close contact with someone showing symptoms. We're sharing lessons learned so other hospitals don't repeat the mistakes that happened in Dallas. The CDC's new Ebola rapid response teams will deploy quickly to help hospitals implement the right protocols. New screening measures are now in place at airports that receive nearly all passengers arriving from Liberia, Guinea and Sierra Leone. And we'll continue to constantly review our measures, and update them as needed, to make sure we're doing everything we can to keep Americans safe. 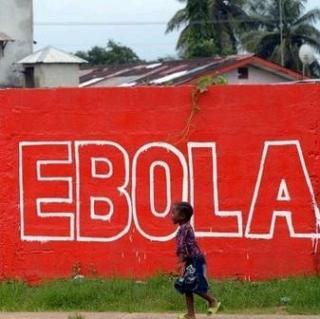 Finally, we can't just cut ourselves off from West Africa, where this disease is raging. Our medical experts tell us that the best way to stop this disease is to stop it at its source - before it spreads even wider and becomes even more difficult to contain. Trying to seal off an entire region of the world - if that were even possible - could actually make the situation worse. It would make it harder to move health workers and supplies back and forth. Experience shows that it could also cause people in the affected region to change their travel, to evade screening, and make the disease even harder to track. So the United States will continue to help lead the global response in West Africa. Because if we want to protect Americans from Ebola here at home, we have to end it over there. And as our civilian and military personnel serve in the region, their safety and health will remain a top priority. As I've said before, fighting this disease will take time. Before this is over, we may see more isolated cases here in America. But we know how to wage this fight. And if we take the steps that are necessary, if we're guided by the science - the facts, not fear - then I am absolutely confident that we can prevent a serious outbreak here in the United States, and we can continue to lead the world in this urgent effort.